Buckinghamshire, or 'leafy Bucks' as those who've fallen for this county's charms call it, has within its boundaries both notable British treasures, like Bletchley Park and Stowe Gardens and some spectacular countryside, including the chalk escapement of the Chiltern Hills. Home of the Prime Minister's country residence, Chequers Court, Buckinghamshire has more than its fair share of beautiful grand country residences. 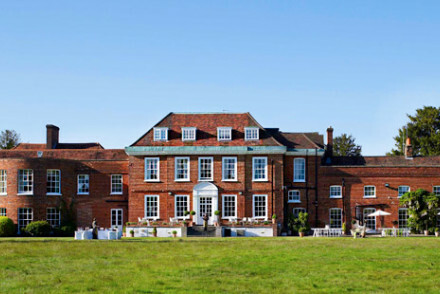 Some of these have been converted into some of the best places to stay in Buckinghamshire. Bucks benefits from being close to London, and its expansive woodlands and rolling hills have made it a historic commuter belt haven between the city and Oxford. That's why so many great manor houses have been built here. Proximity to London also played a part in Bletchley's selection to be the home of the WWII code breakers. The facility is now a museum, and has the wonderfully complex Enigma machine 'crackers' set up and running and 'Colossus', the world's first computer. These days it's not just the Prime Minister rin residence, Pinewood Studios has a large facility in Buckinghamshire and the county is well known for being Roald Dahl's home. Aylesbury is a charming market town with plenty of history, plus outdoor pursuits too. It's a charming base for a quick weekend escape from London or for exploring further afield. 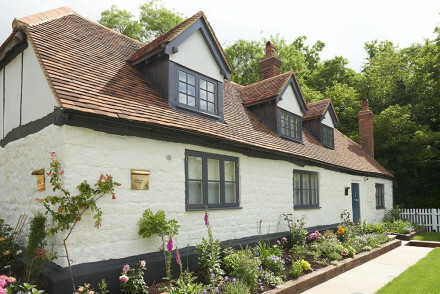 Our pick of the best places to stay in Buckinghamshire range from quintessential country house retreats to charming pubs with rooms - there's something for every taste and budget. There's also the theatrical Italianate West Wycombe Park, which has received recent fame as one of the locations for shooting of 'Downton Abbey', and Hughenden Manor, the red brick Victorian manor of Benjamin Disraeli. Buckinghamshire is also where you'll find Woburn Abbey in the pretty Georgian town of Woburn. No longer an abbey, instead this is a wonderful country pile packed with treasures. There are paintings by Gainsborough, van Dyck and Canaletto and a bedroom designed for Queen Victoria and Prince Albert. These days the grounds of the abbey house the Woburn Safari Park, England's largest drive-through African animal reserve. Buckinghamshire also has some more unusual attractions, like the hand dug Hellfire Caves once the haunt of the Hellfire Club, and Bekonscot Model Village, the world's oldest model village, a mini 1930s English town. Grand, majestic and inviting, with beautifully landscaped parks, Hartwell House is one of those country piles owned by the National Trust and run as a country house hotel. 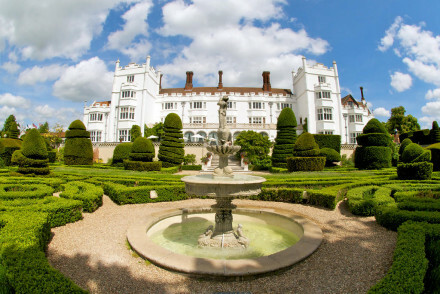 Danesfield House Hotel and Spa is an enormous Gothic Victorian castle set in 65 acres with lawns leading right down to the Thames and views over the Chilterns. 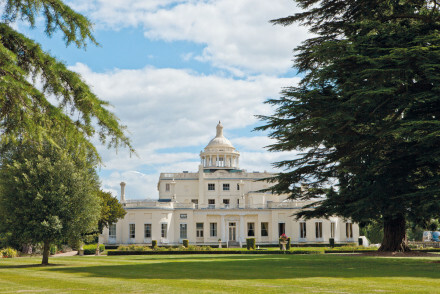 Stoke Park looks like a mini version of the White House, a luxury Palladian mansion turned country house hotel and spa, with golf course and indoor and outdoor tennis. Stoke Place just out of Slough is another wonderful country house hotel, this time in Queen Anne style, set in 26 acres designed by Capability Brown. The Crown Inn in Amersham is a delightful modern coaching inn with plenty of character and a reputation for good food - and it can be reached by tube! 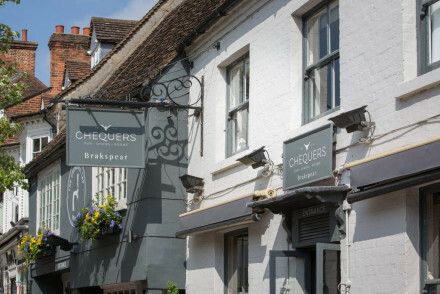 The Chequers, located in pretty Marlow, offers contemporary boutique accommodation that's been tastefully decorated - featuring king sized beds and Nespresso machines. Great cuisine served up, too. Waddesdon's The Five Arrows provides smart accommodation in creamy hues, featuring exposed wooden beams and some with four posters. 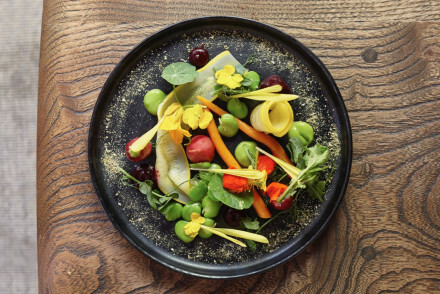 The 2 AA Rosette rated restaurant is also top-notch. A wonderfully romantic retreat. Marlow's Hand & Flowers blends contemporary fittings with original features to great effect. The food is two Michelin-starred quality, whilst there's also a spa and lovely garden. A gorgeous spot! Prefer to stay in an apartment or cottage? Buckinghamshire's nicest weather-wise in the summer months, with the average daily temperature reaching 17°C in July and August. This is peak season - for a quieter alternative consider visiting in May or September? International visitors can fly into Heathrow Airport, located just outside the county, before taking a train or bus on to your final destination in Buckinghamshire. 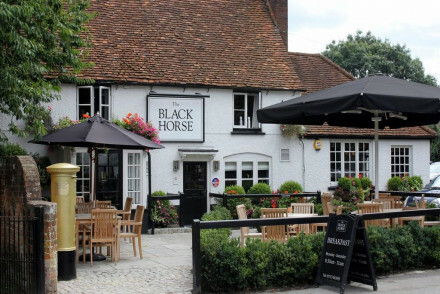 Still not sure of the bst places to stay in Buckinghamshire for you? Refine your search to The Best Places to Stay in Aylesbury or Henley-on-Thames? Or you could widen your net to include our recommendations for The Best Places to Stay in Oxfordshire? 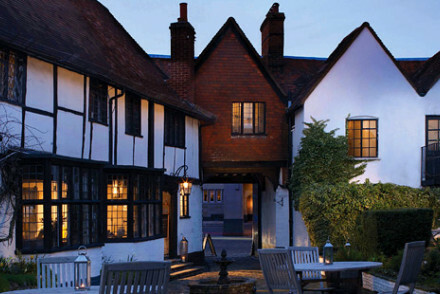 or The Best Places to Stay in Berkshire? Romantic Italian Renaissance style country house set in 65 acres of beautiful landscaped gardens leading down to the River Thames. Individually designed rooms offer traditional or contemporary interiors and lovely views. Excellent restaurant and spa. Perfect for some downtime away from the city. 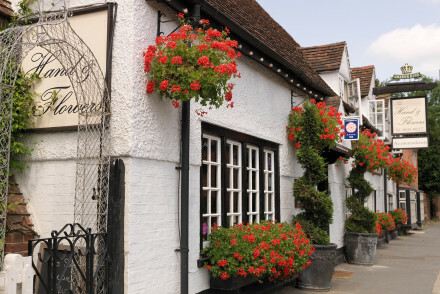 The Chequers is centrally located in the picturesque town of Marlow. This property features elegantly renovated interiors and offers contemporary, boutique accommodation. Rooms boast king sized beds and a Nespresso coffee machine. Wonderful meals served in the dining room. A lovely little spot! Sights nearby - If you fancy a fun-filled day out then go visit Legoland-just ten miles away from The Chequers! 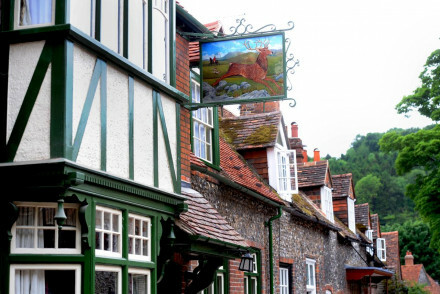 Looking like the quintessential English pub, The Stag and Huntsman has the name to boot and all. Featuring charming rooms, a stylish pub and superb restaurant it's a great spot for a quiet weekend away in Buckinghamshire. Sights nearby - Visit beautiful nearby National Trust houses such as Hedsor House and Cliveden House. 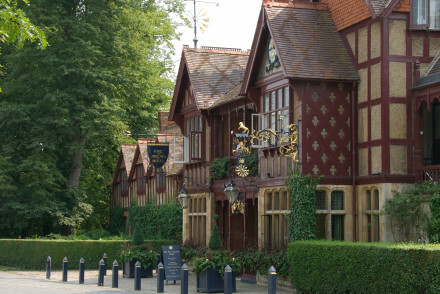 A former coaching inn of the Rothschild's Waddesdon Manor, The Five Arrows provides a historic stay in the home county of Buckinghamshire. Pastel coloured bedrooms with exposed beams, some with four poster beds and traditional bathrooms. By all accounts the restaurant is 5*. A gourmet lover's dream! Great walks - The Chilterns, with their never ending walking paths, are perfect for ramblers. Country manor house hotel set amid 26 acres of parkland and gardens. Traditional features and contemporary designs. Exudes country-style elegance with a modern twist. A charming British pub situated in the heart of a quaint village. Feast on exemplary pub fare and choose from an excellent wine list. The two executive suites are cosy yet luxurious with imposing four poster beds and large contemporary bathrooms. Ideal for rural weekends away. Country Escape - A quintessentially Briitish pub complete with roaring fires, a choice selection of ales and hearty food. Great walks - Explore some of the 530 acres of woodland, heathland and grassland at Black Park. Sights nearby - Visit the imposing Cliveden estate and learn about its Royal past. History and heritage abound at Long Crendon Manor in rural Buckinghamshire. 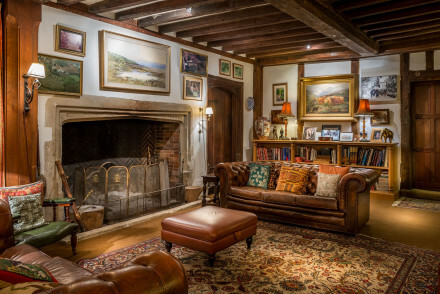 Atmospheric and dramatic rooms are crammed with antiques and period features plus there's a lovely garden and welcoming hosts. Breakfast in the vast dining room includes home grown pork. A stellar B&B. Sights nearby - Visit the magnificent Notley Abbey, only two miles from the B&B. Great walks - The surrounding area is full of lovely walks. With two Michelin stars this property serves mouthwatering gourmet food. Rooms are equally forward thinking: contemporary fittings combined with exposed beams, set against a neutral backdrop, some with copper baths. The Angus suite has a private jacuzzi terrace. There is a spa and courtyard garden. Sights nearby - Marlow Suspension Bridge is close to the property and the All Saints Church is in nearby Bisham. Sailing - A boat trip along the Thames is an ideal English summer's day activity. Great walks - Take a stroll through Higginson Park along the Thames. Nestled into Buckinghamshire near the banks of the River Thames, The Dog and Badger is charming small hotel. With great food served in the restaurant and comfortable rooms, it's a lovely place to relax and unwind. Local exploring - A great spot for exploring Buckinghamshire and the River Thames. Sights nearby - Pay a visit to the Queen's world famous residence, Windsor Castle. Great walks - Go for lovely walks along the River Thames. 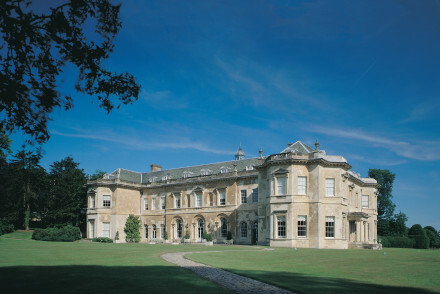 Luxury Palladian mansion turned country hotel. Spa and country club with golf course, indoor and outdoor tennis courts, award-winning restaurants.